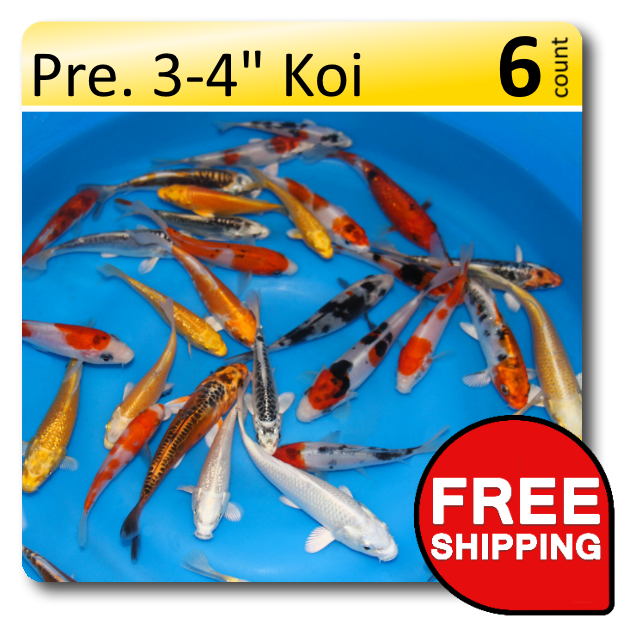 "Select" and "Premium" are grades of butterfly koi we produce. The larger the fish, the better the quality. These fish represent the highest grade of fish produced at Blackwater Creek. They contain all the qualities possessed in the import varieties including great conformation, color, and pattern. Our premium fish always place well at the various koi shows throughout the country. Our select quality koi are of a high grade. These fish have recognizable colors and patterns that allow easy identification of variety. Bekko, Matsuba, Chagoi, Soragoi, Karasu (crow), and many, many Gin Rin varieties. Our decorative varieties come in a variety of bright colors and patterns. Although this is our lowest price grade, all fish are of an easily salable quality. These are not our culls. Always keep some in stock for that customer looking for that "unique fish".